Plastic handbag storage box is a storage box that looks like a handbag. Clear Handbag Storage Boxes has the advantage of storage, and the shape of the bag can be used as a decorative item. 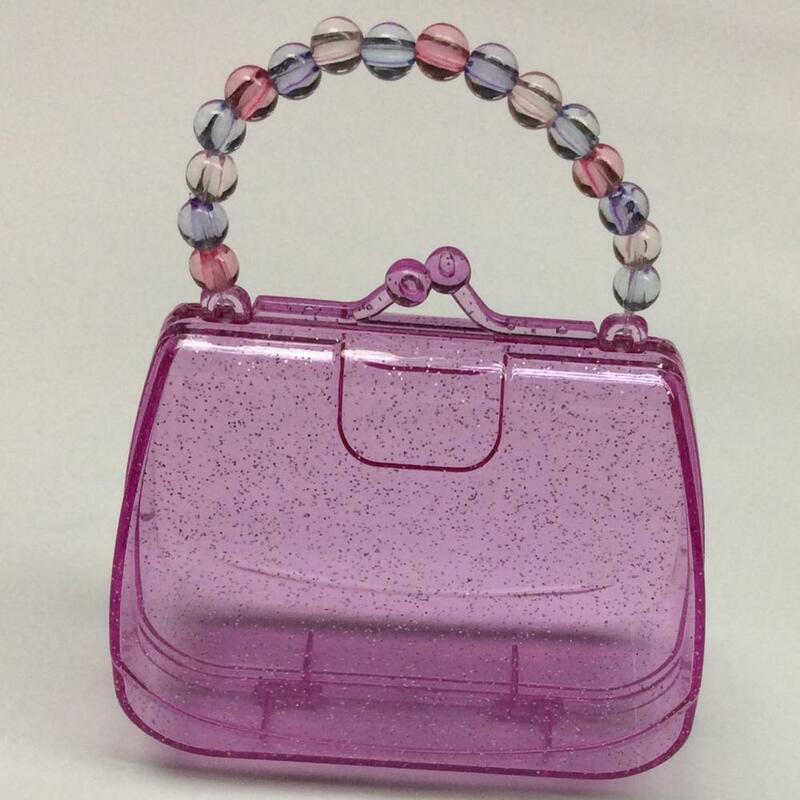 Plastic mini handbag shaped box is characterized by a bag shape, external surface glitter, closed using clasp. The Handbag Storage Boxes is carried by carrying handles, and the closing method is using clasp. Plastic handbag shaped storage box is generally used in home storage occasions, the use of people for children. 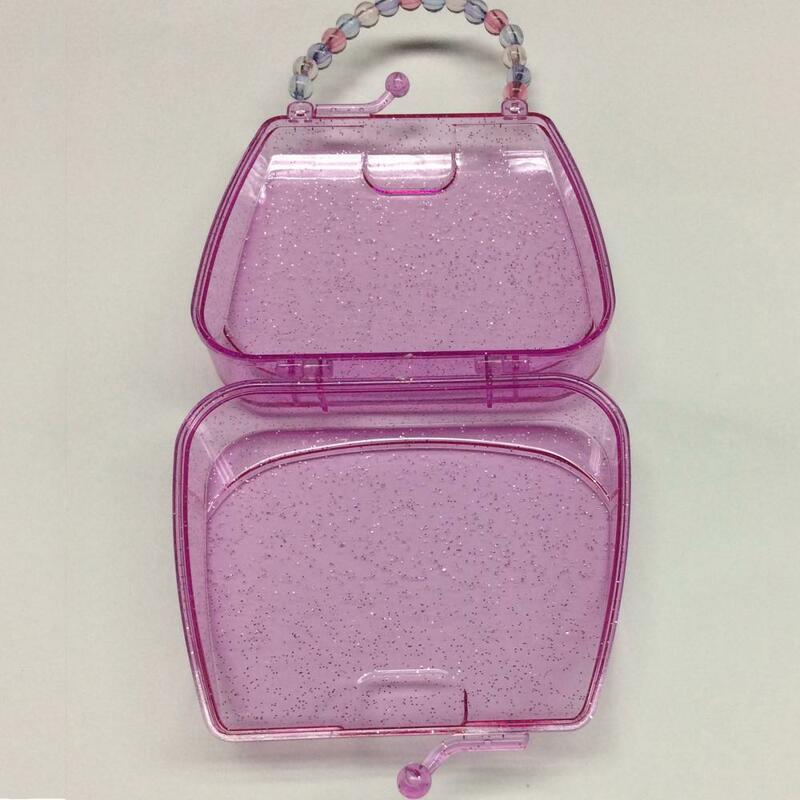 The color of the Plastic handbag storage box is pink, and the material used is ABS, which is made by injection molding. The size of the Handbag Storage Containers is 110x45x105mm. The Handbag Storage Boxes also has some precautions, such as forbidden to fall, away from the fire and other harsh environments. Its packaging and transportation method is a single opp bag loaded into a white box. Looking for ideal Clear Handbag Storage Boxes Manufacturer & supplier ? We have a wide selection at great prices to help you get creative. All the Handbag Storage Boxes are quality guaranteed. We are China Origin Factory of Handbag Storage Containers. If you have any question, please feel free to contact us.